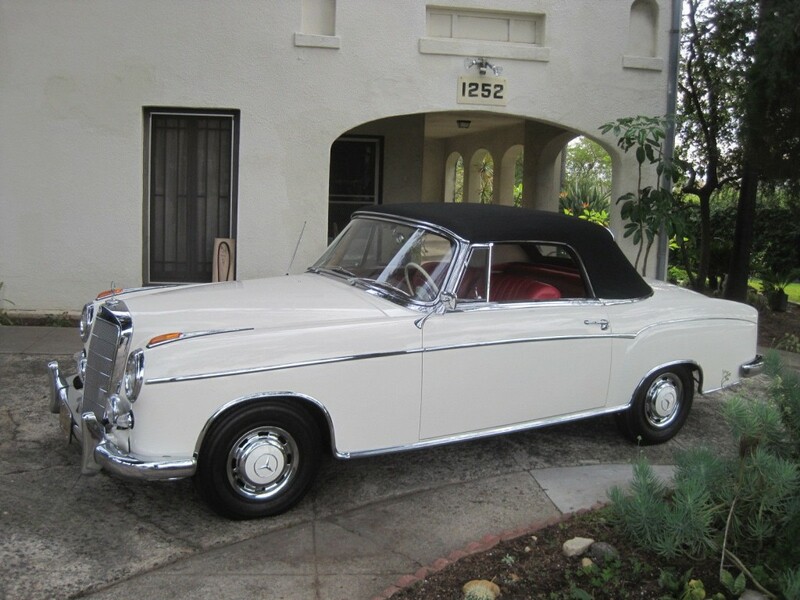 This 1960 Mercedes 220SE Cabriolet is one of 1,112 ever produced. 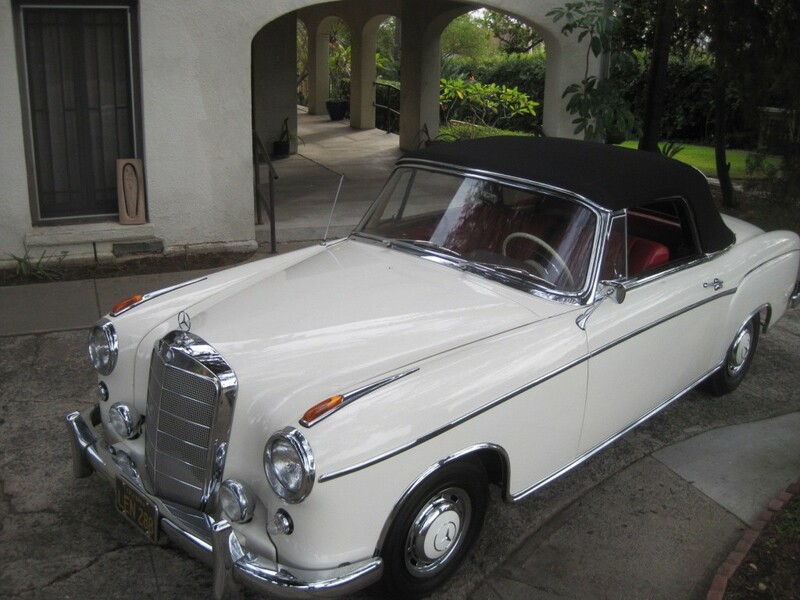 This car was originally sold in California and still holds the iconic Black and Yellow California plates! 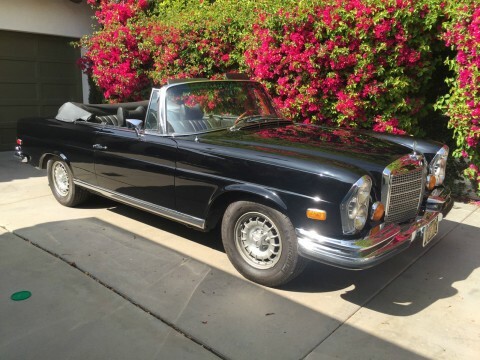 It comes from one family ownership with a reported 76,697 original miles. This is an absolute rust and accident free car. 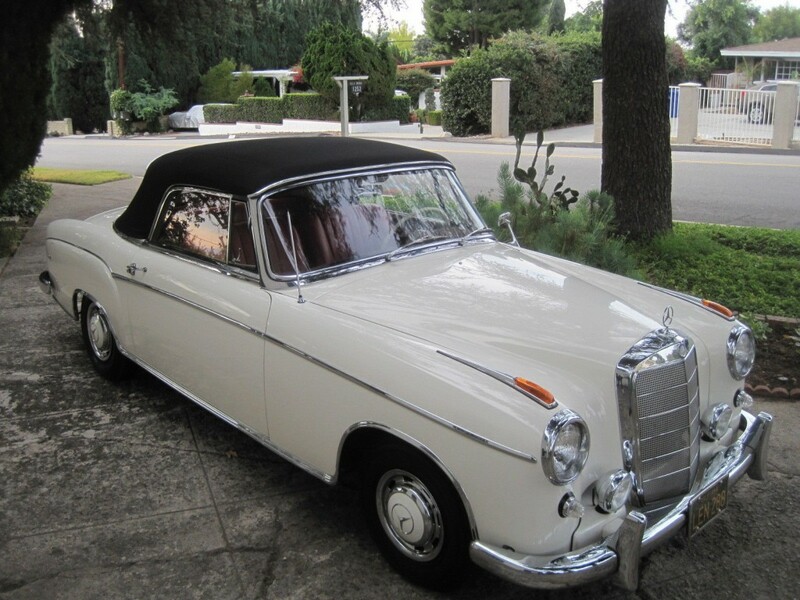 It would be very hard to find an original preserved and maintained car like this now-days. As you open up the drivers door you will notice the beautiful contrast from the exterior white to the red hide interior, The back seats are original, never reupholstered, and in very good shape! The door panels and side pockets are in excellent condition, The wooden dash is in excellent shape! All gauges, knobs, and switches are present. The radio is Blaupunkt. The Soft top is Authentic German Canvas. The trunk is very clean, it comes with the factory Mercedes tool kit, and spare tire. New Michelin tires were put on. 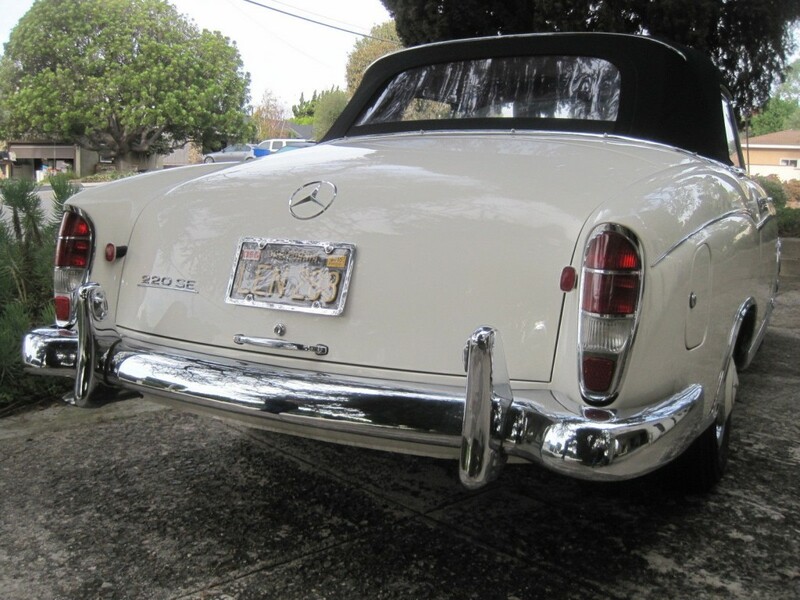 Chrome and bumpers are in excellent shape, with the original Bosch horn on the front, and Hella fog lights. The engine compartment is very neat and tidy! Both heater boxes are original and in excellent shape, not damaged. The ID tags are like new indicating the true condition of this car. Restored cars selling for over 200K does not have these virtues. The floor/trunk/glass and chrome are perfect and original. The mechanical’s are excellent and drives SUPERB, due to its fuel injection. Excellent clutch and brakes. This is a pleasure to drive! It comes with all the books, tool kit, and leather boot. This car should be kept and enjoyed “as is”. A great weekend driver or daily driver. 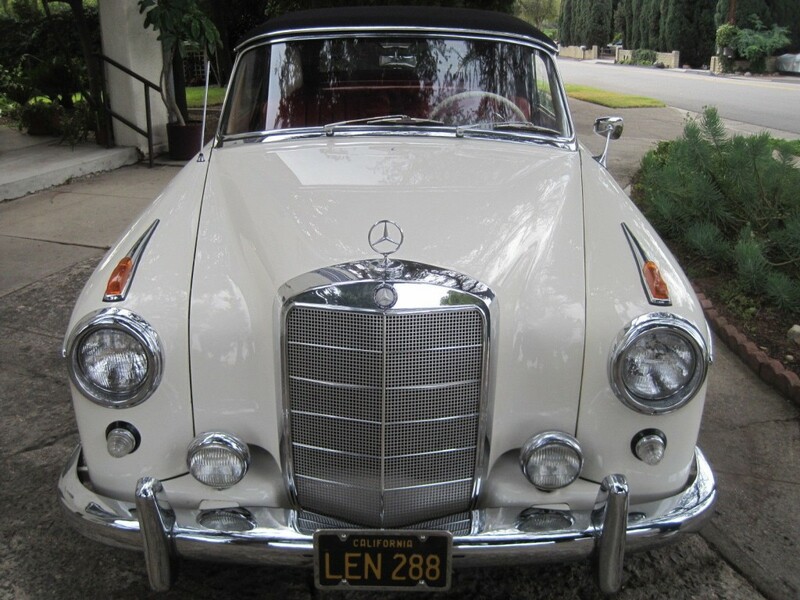 Imagine Driving this out to Palm Springs for the weekend!